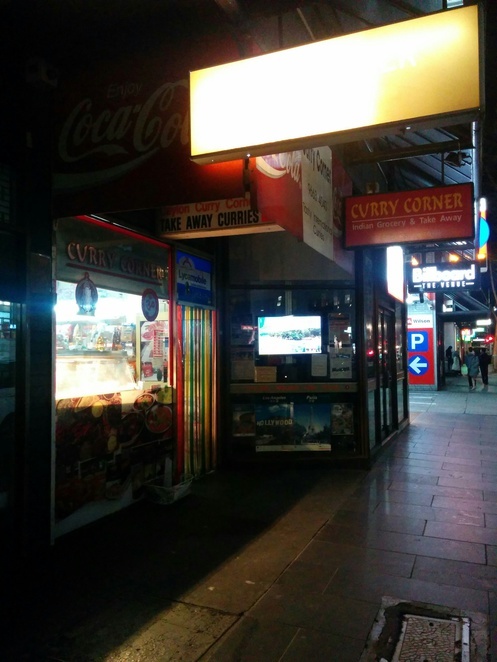 To those who know it, the Curry Corner is a treasured Melbourne spot. Located in an other inauspicious spot beneath a car garage, just off the entrance to Chinatown, this is a business that has built itself far more off a quiet confidence as opposed to sharp decor. Yet, anyone who walks by at day or night and dismisses this place would be missing our on a multicultural landmark, and a tasty food spot. Claiming to be the first Indian grocery store in Melbourne, the (full name) Ceylon Curry Corner has been in operation for over 40 years since 1974, and for this very reason alone, it is worth a visit as testament to the marvelous and enduring nature of multicultural Melbourne. Furthermore, the store offers a wide variety of curries alongside other familiar fare like samosas. The store is also famed for their inexpensive prices with a quick and easy lunch having long been possible for under $10 or even $5. What's more, serving as both a takeaway cafe and grocery store, the Curry Corner is a great little stop for those are keen on either a quick pickup of some mango juice, as well as those who are shopping for a more sizable quantity of goods for a full-blown weekend dinner or party. They serve a nice mango lassi, too.